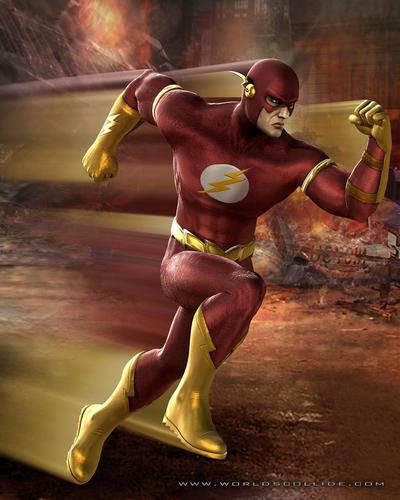 I wish to create a render like the one attached of a figure running super fast and having a blur effect behind him. I use DS2.3, which i believe might be too old for Dreamlight's Motion Master, so i think im stuck doing this entirely in Post. I own Paintshop Pro X and if anyone can give me a step-by-step explanation of how to do this, or point me to a tutorial that explains how to do this, I would be most appreciative. Well, I don't use paintshop, I use photoshop... But here is how I do it. I set up the lighting and such as I want, pose the figure, etc. All as normal. Then I render the figure in one shot, with the background turned off, and the background in another shot, with the figure turned off. Then I go into PS, and I import both the background and the figure, and copy the figure into the background file as a new layer. Then I duplicate the figure a few times. The top layer will be the figure as normal, and the bottom layer is the background. The in-between layers, I then do a filter adjustment and do a gaussian blur. I don't know how this is done in paintshop but they probably have one since it is a standard feature. You will have to play around with it at this point. You can blur the different layers different amounts. You can copy the layers several times. Play with opacity, etc. And you can get the blur effect you want that way. Don't know how to do this with postwork, but if you use DAZ Studio to render in, I wonder if you could use motion blur to create the effect, either straight up or with a 2nd copy of the figure that's a hair smaller or behind to allow a crisp original copy of the figure in front of the blur. 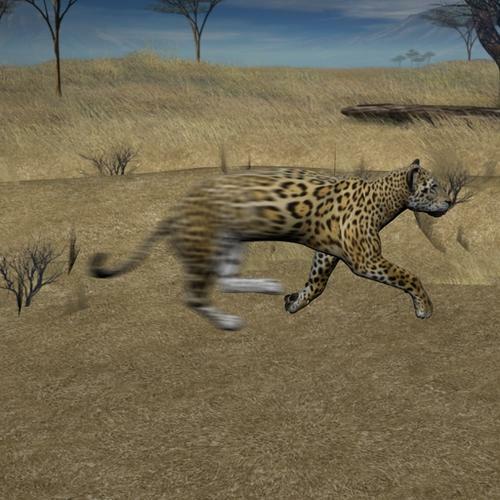 Motion blur: In the Render pane's Advanced tab, check the "Motion Blur" checkbox. In the Timeline pane, click or drag the slider to the 2nd notch to create a second frame. Move whatever you want blurred. (Note that instances don't motion blur as expected.) Click on the key icon with the '+' in it. Move the slider back to frame 1, then render. I would also suggest using depth of field when rendering to blur the edge of his body. It would make the motion blur you add in post work a little believable. DS2.3 doesnt have that option. 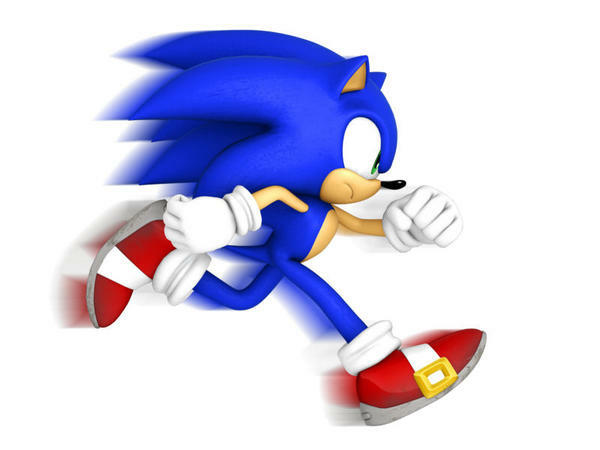 I know in old versions of PSP the motion blur was in effects, motion blur. I would say have 3 layers, the bottom with the background, the middle with the figure that is to be blurred and the top with the clear figure. My issue with the blur tutorials Ive seen, they do not create "blur lines" lines like the ones shown in he image, but a blurred image. The tutorial I seen with Dreamlights Motion Master does EXACTLY what I want to do and I'm looking for an explanation to do just that. Most tutorials produce the following result in the images attached. This is NOT what I want to do. 1. Set up your figure with enough area to the side of him for the blur. 2. Render once with everything. 3. Once with the figure alone and save this one as a png so it will be isolated. 4. In your graphics editor, make a copy of your figure layer and hide one. 5. Now apply a motion blur so that all of the figure is just streaks. Now it's only streaks for the figure and the background/foreground remains untouched. 6. Use your graphic editors tools to warp the shape so that it comes to more of the perspective point as in the Flash image. In Photoshop, it is the Transform tools and I use distort. 7. If the blur lines are too transparent, duplicate that layer to up the opacity. 8. Make your figure layer visible. You might have to adjust the streaks and erase some unwanted areas, but it should give you more of what you want. Actually this image does almost exactly what you want. 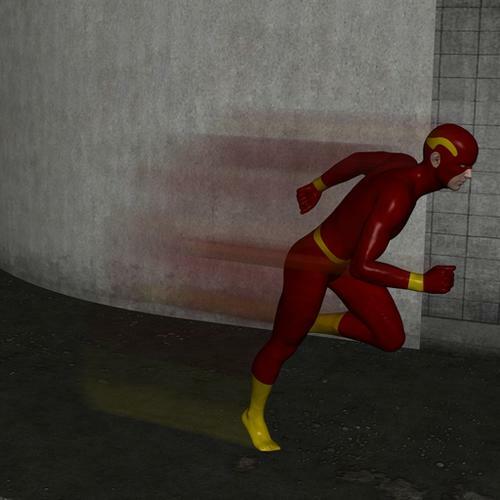 If you notice in your first example image the streaks follow the brightness/darkness of his suit. Darker streaks blend into the similar colored background, brighter streaks don't therefore look separate. Similar here. 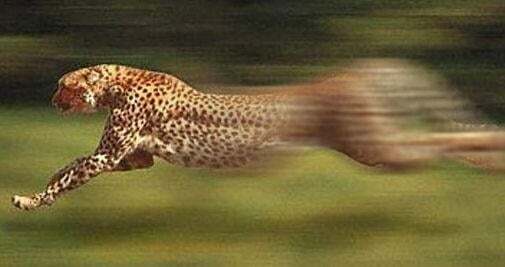 The dark spots and light areas of the cheetah's skin are spaced fairly equally and very close together. The difference is only the beginning of the streaking. In your first example the streaking starts at the edge of his body (which is unnatural but a good comic 'effect' I guess). 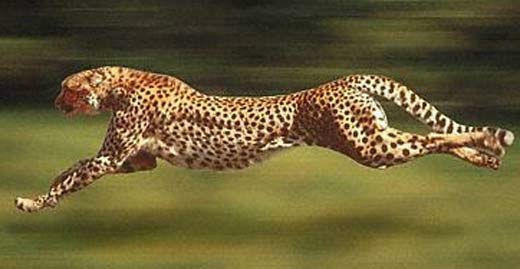 In the second it starts in the middle of the cheetah's body. 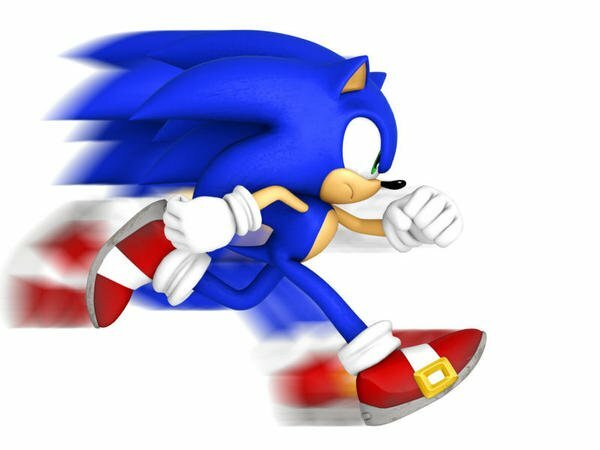 You need to bear in mind that what you want is not a true motion blur, the real thing doesn't end up sharp with a fading tail, so faking it is the only way to go. Merged duplicate threads - which has moved the images from http://www.daz3d.com/forums/viewreply/756650/ to the second post. Apparently, using the default setting, the space between the first pose and the second determines how much it blurs. Then how do i get exactly what i want? MJ... are you trying to generate something like this? (It's from a Supergirl fanfic comic I made... I blacked out the text since it is not relevant to the discussion). This was done in photoshop and with multiple renders. In DAZ, I rendered her against a blank backdrop, transparent to a PNG file, multiple times. I left the camera in place and rendered her 5x moving from left to right each time just on the horizontal axis. Then in photoshop, I used the farm pic as a background layer, and imported the 5 Supergirls. The one farthest to the right I put on top, with each successive image going left on the next layer down. Once that was done. 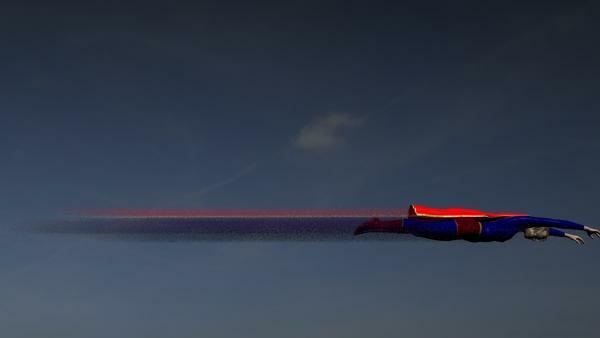 I motion blurred all the layers but the top Supergirl layer and the farm layer. Then I copied each one and move them slightly right-left to make a continuous stream. Then I merged the layers. This produced the effect you see in the shot, which I think is sort-of what you are looking for. I also probably twiddled with the opacity of the blurred layer but I don't have the psd file around anymore to check it. Yes, this is pretty much exactly what I am trying to do. 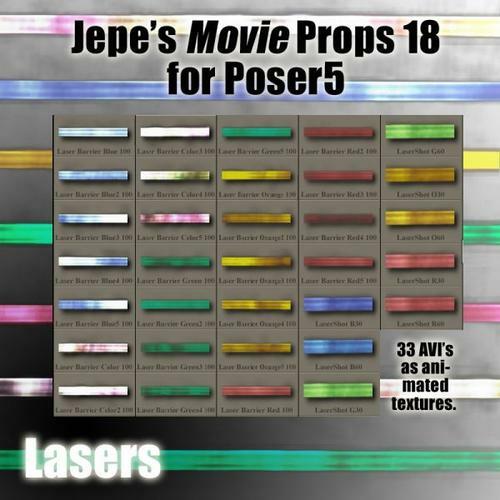 What about Effect Props like Jepe's effects? Assuming i could match the colors up, think this might be a simpler way of creating the speed lines effect without doing any post at all? Im speaking from someone that knows very little about Postwork so if I can fake it equally well at rendertime, all the better for me. Thats exactly what i want, but please remember, I use a much older version of Daz Studio(DS2.3). Some of the options you're detailing are not an option for an ancient DS user like myself. I would suggest not being afraid of postwork. I use photoshop not paint shop but they probably work very similarly. Or you can use Gimp for free. All you have to do is make some extra layers and apply a motion blur. It's just a few clicks. Yes you will have to tweak to get it just right, but you would have to do that to get a render right too. Learning how to deal with layers and adjustments and filters has saved my hash many times. Just this morning I was able to give my character a much more "yellowy" hair than any of the options with my hair product by taking the hair texture into PS, and putting in a hue/sat adjustment layer on top to force it to be more yellow. Took like 10 minutes, and I had a whole new hair texture to use. It's not "postwork" but it's the same logic... using layers to modify the image. If I may ask... is there some particular reason you don't want to upgrade your Daz Studio client? I would suggest not being afraid of postwork. I wouldnt say im "afraid", however, I just wish to be "efficient". I can work around DS better than I can PSP, so it is my nature to look for a rendertime solution, than a postworked solution. Thats just my workflow. A variety of reasons. Primarily due to the inability of a number of plugins i own and use and are not compatible with later versions as well as saved scene files being incompatible. Thus, alot of hardwork and time spent creating the scene files I have and use I would have to duplicate in a recent version. Therefore, unless there is a reason to arise in which i NEED to upgrade, that's something at the furthest end of my "to do" list. Unfortunately, it seems like the two most efficient solutions in this case are either to do postwork, which you don't want to do, or use motion master or something like it, which is incompatible with your client. Jepe's props may work but I haven't used them so I can't offer any advice on them. Thanks. However, I do believe when Motion Master was released, it was released for DS2.3. If I can get my hands on that installer OR if the DS3.x version works in DS2.3 as well, that may still work out for me. I have some options to consider. Thanks for everyone's assistance. What Steven did is pretty much what I suggested. Instead of blurring several instances, I blurred one and duplicated it a couple of times. Same effect. The only other thing I suggested was using transforms to pull one end down in perspective so you could do what was done in the image you showed. If you only blur and lengthen the blurred stream, it's the same height as the figure, so you don't get the effect you showed us. Just depends on what you want to do. The one you showed also had hard edges over the blurring, but personally, I would do a layer mask over the original and softly remove the hard edges where the blurring begins. Hi, I use PaintShop Pro. While I skipped PSP X, I believe the following should work for you which is a modification of steven.viscido post. Then render only the person/object that is to be blurred but not the rest of the scene. Make sure you save this as a png file so you have the transparent background. Once rendered, open both in PSP. The person/object to be blurred, copy and paste as a new layer in your main scene image. Do this at least twice. The top one is to stay as originally rendered. Click on the bottom copy to be blurred. Now, you wlll repeat this until you are happy with it but in between each repeat, check the placement of the layer you are blurring as it will eventually move away from the person object that is being blurred. When that starts happening, you will need to click on the mover tool to drag the blurring layer back towards the subject of the top layer so they look like they are still joined. This is something you need to play with. The other thing you can use is the multi brush tool (can't remember its proper name). It has the options of dodge, soften, push, etc. Try either the push or smudge brush, adjust their step and other setting and see what they do. On another note, I am fairly confident Dreamlight's Motion Master was initially released for DS2.3. Is there any way i can confirm this? I already have Daz looking into this via a ticket i entered, but i was hoping I could find out for myself in the meantime. My Motion Blur experiment is not going well. But this is what I always see motion blur tutorials produce; blurred layers, but not speed lines. Top image is one blurred layer, bottom image is 3 blurred (slightly repositioned from right to left) layers. Any suggestions as to what im doing wrong? Increase the size of the motion blur. In Photoshop, this would correspond to increasing the number of pixels. Now, when you do this, it will become much more faint, but you will also lose the physical features of the object and just retain the colors. To remedy the faintness of the blurred image, just duplicate it a bunch of times to get the darkness you want.